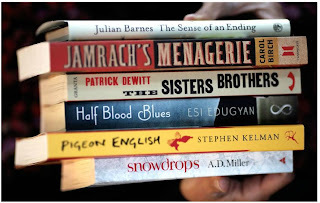 The Force Expansive: Booker Prize Book Club, anyone? We're only days away from the announcement of the winner of the Man Booker Prize for 2011. I look forward to this every year. I can't wait to hear who, of the writers represented above, wins it. I've read just one of the above so far (Jamrach's Menagerie - loved it! ), but plan to read my way through the whole small stack. 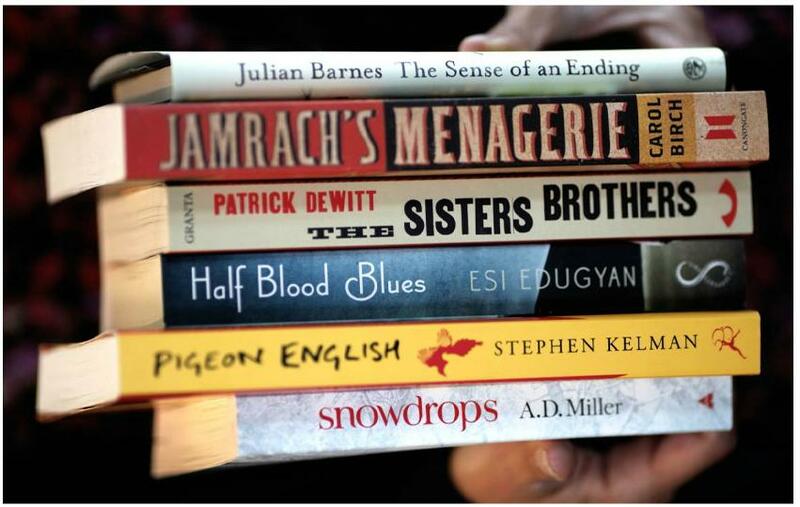 The Booker Prize nominees are invariably good, sometimes out-of-this-world fantastic, books. Every year I wish there were a subscription service available through Amazon or some other clever book seller, that would result in these books arriving on my doorstep, either all at once, or a week apart for a period of weeks, to lead me through the entire list. I'd actually consider reading the entire long list next year. This year I'm just doing the short (above). So, I'm wondering: is anyone else interested in reading these books, too? Shall we have an informal Booker Prize Book Club? I've had only few book club experiences, so don't really know how to do this, but thought I'd cast the net.